Prominent & Leading Exporter from Navi Mumbai, we offer antiviral drugs, myhep sofosbuvir, xbira tablet, ifosfamide injections, cyclophosamide injections and votrient tablets. 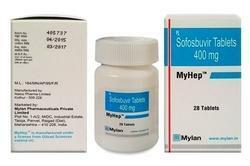 Sofosbuvir is used with antiviral medications such as ribavirin, peginterferon, daclatasvir to treat chronic long-lasting hepatitis C, a viral infection of the liver. It works by reducing the amount of hepatitis C virus in your body, which may help your liver recover. 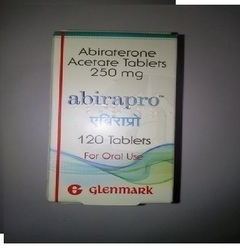 Our organization is delicately engaged in offering an excellent qualityXbira Tablets. 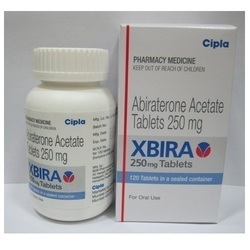 Offered Xbira medicines are used together with prednisone to treat prostate cancer that has spread to other parts of the body.Backed by experienced professionals, we have established ourselves as reliable entities, engrossed in offering Xbira Tablet. The provided tablet is processed using top grade chemical compounds and latest techniques under experts' guidance. Our valuable clients can get this tablet from us in vivid packaging option. This tablet is mainly used to treat prostate cancer in human. Our organization offers superlative quality Ifosfamide Injections at reasonable market prices. 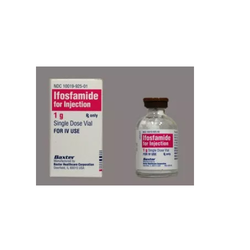 These injections are formulated in compliance with pre defined FDA norms using good quality ingredients that have been sourced from trustworthy vendors. Offered chemotherapy drugs are effective against kidney and bladder problems. 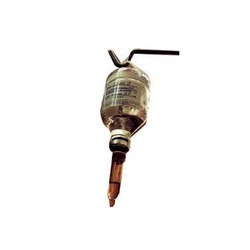 The injections offered by us are appreciated for their optimum formulation, high purity and longer shelf life. This injection is often used in combination with other medications to treat various cancers. Helps in reducing kidney and bladder problems. 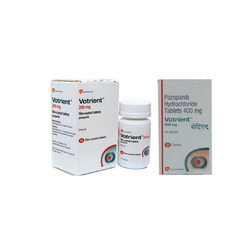 This medication is given by a health care professional as an injection into a vein. It is important to drink large amounts of fluids while taking this medication. If you have difficulty drinking large amounts of water, fluid will be given by this medication as well. It is used for over 30 mins. or more administered intravenously at a dose of 1.2 gm/m day for five consecutive days. Our company holds the specialization in the manufacturing, trading, supplying and wholesaling of premium quality Cyclophosamide Injection. This antineoplastic agent is formulated using best quality ingredients that have been sourced from well known vendors. Effective against mycosis, acute lymphoblastic leukemia and chronic lymphocytic leukaemia, our drugs are also useful in biopsy diagonsed minimal change nephrotic syndrome in children who fail to respond to steroids. we are the leading exporter of Pharmaceutical products and medicines across the world. We provide the best quality medicines and quick services for all customers around the globe with all necessary tracking information of the products. We are a specialist in Anti-Cancer medicines like Veenat, Geftinat, Erlonat, Sorfanet, Afnitor, Evertor , Acetate ,Crizilak and many more. we are involved in offering best quality of Zytiga. This Zytiga is offered by us to customers in bulk at reasonable rates and these products are highly appreciated for their effective usage. 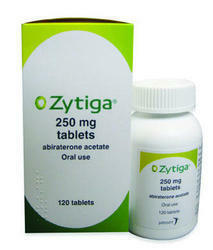 The offered Zytiga is extensively used to treat men with metastatic castration-resistant prostate cancer. Further, we provide these products to customers in safe and perfect packaging. 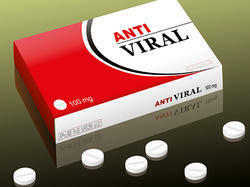 Looking for Anti Retro Viral Drug ?